432 Marlborough is located on the south side of Marlborough, between Massachusetts Avenue and Charlesgate East, with 430 Marlborough to the east, and 434 Marlborough to the west. 432 Marlborough was designed by architect Obed F. Smith and built in 1885-1886 by Charles H. Dodge, mason, for building contractor George Wheatland, Jr., for speculative sale, one of six contiguous houses (430-432-434-436-438-440 Marlborough), arranged in a symmetrical group, the three to the east (430-434 Marlborough) with bays on the eastern side, and the three to the west (436-440 Marlborough) with bays on the western side. The peaks of the bays have varied designs. George Wheatland, Jr., is shown as the owner on the original building permit for 432 Marlborough, dated October 16, 1885. At the same time, George Wheatland, Jr., was having six more houses built at 381-391 Commonwealth on the lots to the south, behind 430-440 Marlborough, also designed by Obed Smith and built by Charles Dodge. 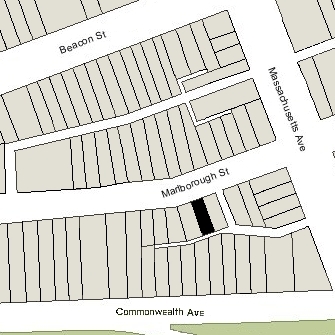 Click here for an index to the deeds for 432 Marlborough, and click here for further information on the land west of Massachusetts Avenue between the south side of Beacon and the north side of Commonwealth. On January 1, 1887, 432 Marlborough was purchased from George Wheatland, Jr., by Margaret (Whitten) Tyner, the wife of Richard Tyner. They previously had lived at 167 Warren. Richard Tyner was a carriage and harness dealer. The Tyners continued to live at 432 Marlborough during the 1890-1891 winter season, but moved thereafter to 134 St. Botolph. They continued to own 432 Marlborough and lease it to others. By the 1891-1892 winter season, 432 Marlborough was the home of Mary Amory Greene, an artist, and her sister, Margaret Greene. 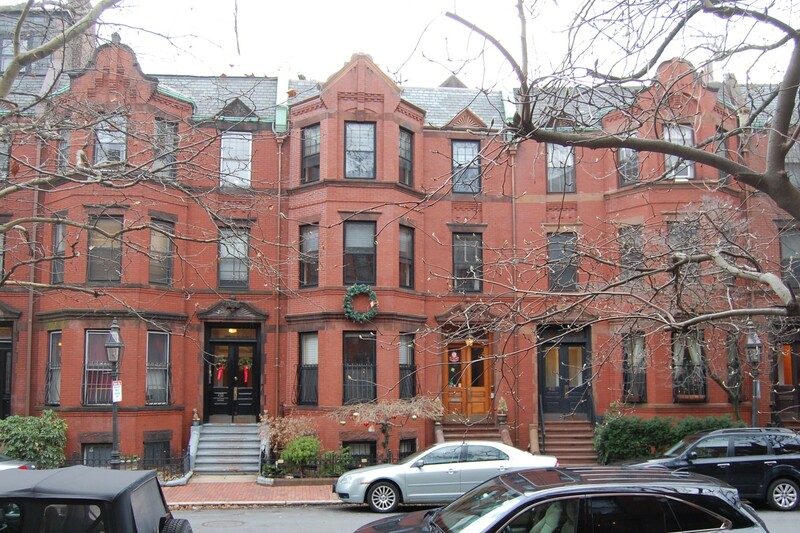 They continued to live there during the 1893-1894 winter season and then moved to live briefly at 371 Marlborough with Mary Louisa (McCulloh) Mayer Upham, the widow of Henry Christian Mayer and Henry Upham. Mary Upham was the mother of Mary Abby (Mayer) Greene, widow of Dr. John Singleton Copley Greene, the brother of Mary and Margaret Greene. By the 1894-1895 winter season, 432 Marlborough was the home of William Sanford Butler and his wife, Margaret Jane (McDonald) Folsom Butler. They previously had lived in an apartment at 411 Marlborough. William Butler was a dealer in dry goods and fancy goods. They continued to live at 432 Marlborough during the 1895-1896 season, but moved thereafter to the Copley Square Hotel (northeast corner of Huntington and Exeter). During the 1896-1897 winter season, 432 Marlborough was the home of attorney Benjamin Lowell Merrill Tower and his wife, Eliza Curtis (Kneeland) Tower. They previously had lived in an apartment at 405 Marlborough. By the 1897-1898 season, they had moved to an apartment at 409 Marlborough. By the 1897-1898 winter season, 432 Marlborough was the home of Caroline V. (Rich) McGuffey, the widow of Alexander Hamilton McGuffey, and their daughter, Margaret Drake McGuffey, a librarian at the Boston Public Library. Alexander McGuffey had died in June of 1896. He had been a lawyer and educator in Cincinnati, and had collaborated with his brother, William Holmes McGuffey, in creating McGuffey’s Readers and Spellers, a series of graded reading and spelling textbooks used widely throughout the United States. 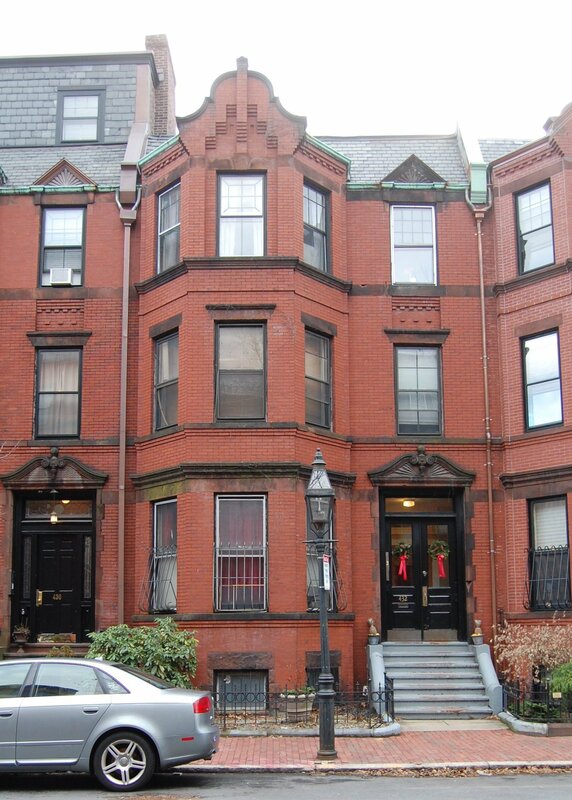 Caroline and Margaret McGuffey continued to live at 432 Marlborough during the 1899-1900 winter season, but moved there after to the Hotel Ludlow (southwest corner of Clarendon and St. James). By the 1900-1901 winter season, 432 Marlborough was the home of attorney James Eveleth Maynadier and his wife, Mary West (Wright) Maynadier. They previously had lived in Taunton. James Maynadier’s brother-in-law and sister, Causten Browne and Katharine Eveleth (Maynadier) Browne, lived at 434 Marlborough. The Maynadiers continued to live at 432 Marlborough during the 1903-1904 winter season, but moved thereafter to Brookline. The Brownes also moved to Brookline at about that time. By the 1904-1905 winter season, 432 Marlborough was the home of Dr. Harry Chamberlain Low and his wife, Mabel Converse (Chipman) Low. They previously had lived in an apartment at 409 Marlborough. Harry Low was a physician and maintained his office at 432 Marlborough. The Lows continued to live at 432 Marlborough during the 1908-1909 winter season, but had moved to Brookline by 1910. 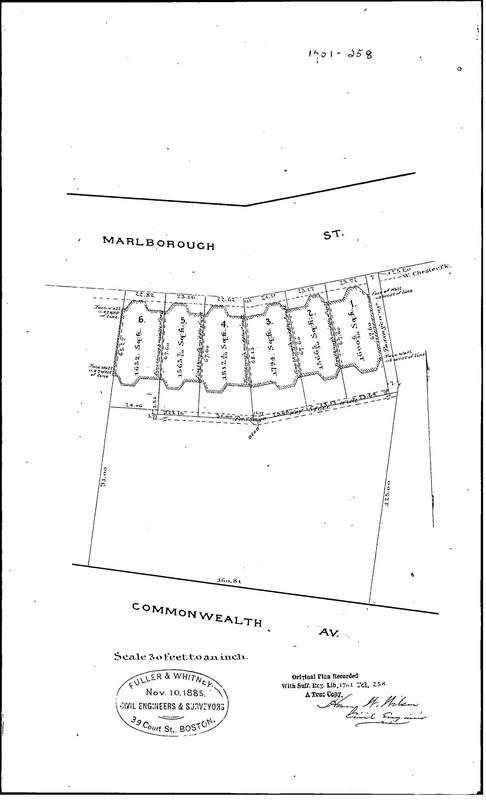 On October 11, 1909, 432 Marlborough was purchased from Margaret Tyner by Mrs. Aurelia (Arrilla) Marjorie (Rhodes) Chatfield, former wife of Joseph A. Chatfield. She previously lived at 115 Mountfort. During the 1911-1912 and 1912-1913 winter seasons, Aurelia Chatfield was living elsewhere and 432 Marlborough was the home of Winfield Scott Shrigley and his wife, Emma (Rolfe) Shrigley. He was a retired dentist who had practiced in Valparaiso, Chile, for thirty years. Their son, Wilfred R. Shrigley, purchasing agent for a wholesale shoe and boot company, lived with them. Also living with them was Emma Shrigley’s brother, Dr. William A. Rolfe, a physician and surgeon. They all previously had lived at 755 Boylston with Emma Shrigley’s and William Rolfe’s mother, Frances (Chambers) Rolfe, widow of Edward Rolfe. She had died in June of 1911. Winfield Shrigley died in February of 1913. Emma Shrigley and Wilfred Shrigley moved soon thereafter to an apartment at 224 Marlborough, and William Rolfe moved to an apartment at 259 Beacon. 432 Marlborough was not listed in the 1914 Blue Book. By the 1914-1915 winter season, Aurelia Chatfield had resumed living at 432 Marlborough Her son, Charles Kenneth Chatfield, lived with her. He was a printer and later an automobile salesman. On February 1, 1918, 432 Marlborough was acquired from Aurelia Chatfield by Dr. Walter Livingstone Conwell, a druggist and physician, with a retail pharmacy located at 210 Shawmut. He previously had lived at 85 Newbury. Aurelia Chatfield and her son continued to live at 210 Shawmut along with Dr. Conwell. In 1923, Charles Kenneth Chatfield married Helen Maude Whitman. After their marriage, they lived at 432 Marlborough until about 1925, when they moved to Brookline. On March 12, 1925, Walter Conwell transferred 432 Marlborough back to Aurelia Chatfield. They moved soon thereafter and were married in April of 1927. After their marriage, they lived in Brewster. On January 11, 1926, 432 Marlborough was purchased from Aurelia Chatfield by Ruth H. (Powers) Cushman, the wife of attorney Stephen P. Cushman. They previously had lived in Walpole, where they continued to maintain a second home. 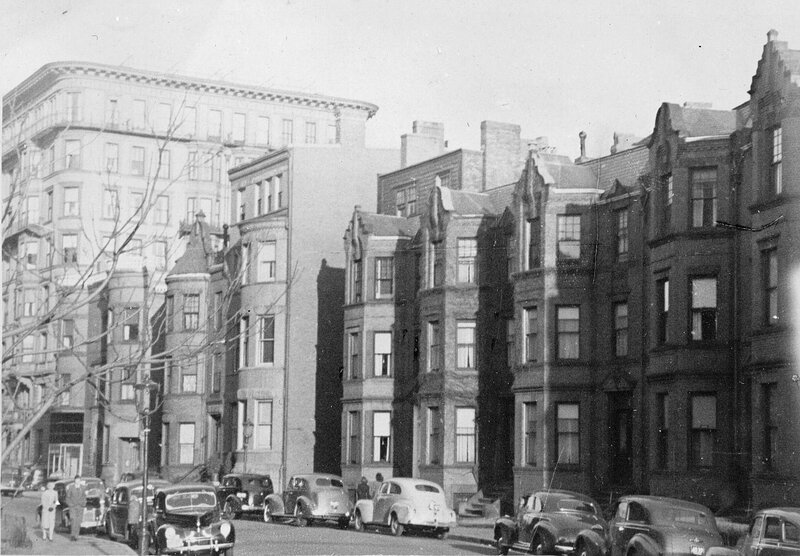 The Cushmans continued to live at 432 Marlborough and in Walpole during the 1936-1937 winter season. Thereafter, they made Walpole their year-round home and converted 432 Marlborough into a lodging house (in October of 1942, after having been cited by the Building Department, he applied for, and subsequently received, permission to legalize 432 Marlborough’s occupancy as a lodging house). By 1940, 432 Marlborough was the home of Carl Samuel Dorr, a salesman for an appliance company, and his wife, Edith M. (Moulton) Dorr, who operated it as a lodging house. They continued to live there in 1945, but had moved to 451 Marlborough by 1946. Ruth Cushman had died in July of 1941 and, thereafter, 432 Marlborough was owned by Stephen Cushman as trustee under her will. On September 18, 1947, 432 Marlborough was acquired from Stephen Cushman by Mrs. Margaret Frances (Lyons) Garside, the former wife of George H. Garside, who continued to operate it as a lodging house. She previously had lived briefly at 320 Commonwealth and, before that, had operated a lodging house at 208 Commonwealth. She continued to live at 432 Marlborough until about 1956. On April 7, 1955, 432 Marlborough was acquired from Margaret Garside by Katherine (Catherine/Kay) (Cullen) Gilgunn, a nurse, the wife of Philip Gilgunn (Gilgun). They continued to operate it as a lodging house. They previously had lived at 320 Commonwealth. In August of 1958, Katherine Gilgunn acquired 435 Marlborough. In about 1960, the Gilgunns moved to 435 Marlborough, and then moved back to 432 Marlborough by about 1963. They continued to own and operate both properties as lodging houses. In April of 1962, Katherine Gilgunn sold 435 Marlborough to Franklyn G. Bill and Sidney R. Handler, trustees of the C & S Realty Trust. On March 19, 1965, she transferred 432 Marlborough to herself and her niece, Bridgett (Bernice) Cullen, daughter of her brother, Thomas Cullen. Katherine Gilgunn died in April of 1965. On November 10, 1965, 432 Marlborough was acquired from Thomas Cullen, as guardian for Bridgett (Bernice) Cullen, by Franklyn G. Bill and Sidney R. Handler, trustees of the C & S Realty Trust. They continued to operate it as a lodging house. On April 10, 1978, 432 Marlborough was purchased from Franklyn Bill and Sidney Handler by Roger E. Cole. He had purchased 435 Marlborough from them in November of 1975. On October 15, 1981, 432 Marlborough was purchased from Roger Cole by Charles C. Patsos, trustee of the 432 Marlborough Street Trust. On February 21, 1992, the Winter Hill Federal Savings Bank foreclosed on its mortgage to Charles Patsos and took possession of 432 Marlborough. On March 30, 1992, it was purchased from the bank by Walter J. Bornhorst. In April of 1992, he filed for (and subsequently received) permission to change the legal occupancy from a lodging house to five apartments, which he indicated was the existing condition when he purchased the house and had been for at least the past ten years. On February 6, 2008, he transferred the property to the 432 Marlborough Street LLC. 432 Marlborough remained an apartment building in 2018.